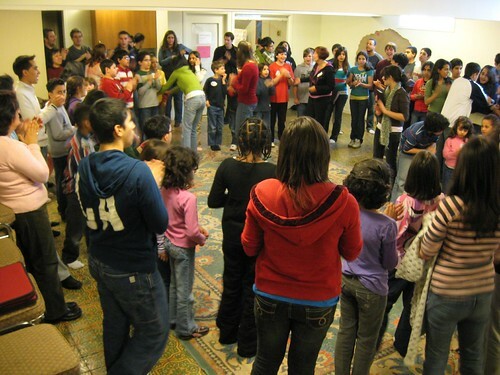 short pause for feedback | bahá'í children's class ideas! This entry was posted in experience and tagged blog by dan. Bookmark the permalink. I’ve just started helping out with children’s classes and this website is a wonderful idea on communicating with other people as well as putting a plan in action. I hope we here in the Cook Islands can emulate what you’re doing so we can share also. Please keep posting. @Leila: great to hear about your class, and that you’re finding the blog useful! please feel free to comment on posts you’ve found particularly useful, and to share ideas that seemed to work well for you. @Dat: I’ll definitely be including more and more different types of activities in my posts. Although I’ll keep writing some posts according to the “blog lesson plans” format, I’m also thinking of devoting entire posts to individual types of activities, like the chalk drawings post from the summer. As you mentioned, I also hope to write more posts reflecting on the best ways of conducting home visits and engaging parents and families in the work of the class. You can check out posts with the parents tag to see a few that I’ve already written. Keep watching! Hi – really happy to hear that you will continue to blog about the classes. I’ve been reading your blog to get idea’s, support and motivation to keep mine going so know that it’s really useful and important to do this!! Me and my husband run a class for kids in our local area – which is an area of social deprivation in Wales, Uk. We’re slowly consolidating and maintaining a regular class. Much support from across the water! I have been conducting a children class for a few months. I have not much experience in doing children classes. I would like to see what you have done to entertain the children in the spiritual educational way during the class. I mean what games, how you tell them stories, the way you make them interested in prayer, art crafts…. how you connect to parents most naturally…..